Yes! we are approved by L&G NSW to deliver the RSA NSW Online unit and the RSA NSW Bridging unit - in fact AAAT is the FIRST to be approved! AAAT were approved on the 28th August 2015. How quickly will I receive the NSW RSA interim certificate? AAAT issues the NSW Interim certificate once DAILY (Mon- Fri) for all successful applicants who have passed their assessment & provided their required documentation. If you do not receive your Interim certificate on the day you complete your training, you will receive it the next business day. Can I get my RSA NSW certificate today? A person who undertakes the RSA NSW Online course with AAAT and who successfully completes their training (Mon-Fri) will receive their L&G NSW approved Interim certificate either the same day as completion or the next business day. * Please note certificates are only issued once a day. DO I NEED TO DO THE RSA NSW COURSE? If you hold a RSA NSW paper certificate that expired prior to 30th June 2016, then you must complete the full RSA NSW course again. If you have NEVER completed a RSA NSW course previously then you will be required to complete the full RSA NSW course. **** Please note, refunds wil not be provided if you already have an existing NSW RSA Interim certificate or Competency ID card and you have chosen to complete the course again. INTERNATIONAL STUDENTS: If you are currently in Australia on a Student Visa you are NOT eligible to enrol into this course with Access All Areas Training. Please contact your nearest CRICOS registered RTO. Do you have a question regarding work visa for Australia? Let us help you find the right answer. Yes, we can reissue you a copy of your original certificate, the fee is $20 per reissue of a certificate. If the certificate was issued by a government body such as NSW FSS or RSA NSW - the fee is $30 per certificate plus $15 admin fee. Please view the student handbook for further details that relate to replacement of certificate. Was the RSA NSW Online Course suspended? The RSA NSW ONLINE course WAS suspended in 2014, however L&GNSW has granted approval to AAAT as of 28th August 2015. AAAT is the first to be approved! The newly revamped course ensures rigourous assessment criteria and a more robust course to guarantee that all learning outcomes have been met. Approval to deliver this online unit is provided once an audit by L&G NSW has been conducted to ensure that all conditions of delivery have been met. The USI (Unique Student Identifier) scheme is free. The USI Office does not charge a fee for individuals creating their USI and maintaining their USI account, which will bring together their training records of nationally recognised training completed after 1 January 2015. What is Nationally Recognised Training and how does online training work? Online training allows you to complete training at your own pace and at a time which suits you. It is simple to use. Courses are made up of Units of Competency. The Units of Competency in your course are broken into various sections of learning to allow you to focus on one area of learning at a time and to provide flexibility in completion of the course. Each section has information which you must read. The course content, or information in each section is the important detail you need to understand. At the end of each section there are a series of questions which you must answer by either selecting multiple choice answers or by typing in a written answer. A National Training Package is a consistent and reliable set of nationally endorsed standards and qualifications for recognising and assessing people's skills. A Training Package describes what skills and knowledge a person needs to perform effectively in the workplace without prescribing how they should be trained. Can the RSA unit SITHFAB002 be delivered ONLINE? Changes made to this unit enhance your training experience to ensure that we capture the evidence required to determine if you have the necessary skills and knowledge to apply to any workplace position that requires Responsible Service of Alcohol. There are some Training providers that do not offer quality training. They provide you with the necessary Statement of Attainment but not the knowledge or skills to safely work behind a bar. Access All Areas Training only provides quality training, you are in safe hands with us! Take a look at what to expect from your training! As an employee am I able to serve alcohol to a person if I am under 18 years of age? In the A.C.T - A person under 18 years of age may work in an adults only area if they are not supplying liquor to patrons. A person under 18 years of age may serve liquor to patrons who are not in an adults only area, for example, with a meal in a restaurant if the restaurant is not in an adults only area. The licensee or permit holder commits an offence if they employ a person under 18 years of age and that person supplies liquor and the liquor is supplied in an adults only area of the licensed or permitted premises. Do I have to be over 18 yrs to complete my RSA? No, in fact in somes states such as the A.C.T a person under 18 years of age may serve liquor to patrons who are not in an adults only area, for example, with a meal in a restaurant if the restaurant is not in an adults only area and thereforre they must have an RSA certificate. In other states such as NSW, RSA training is provided to students in year 10, 11 and 12 as part of their educational program. However, the law in Australia is quite clear, only persons aged 18yrs or over can consume, serve, sell or supply alcohol. A person under 18yrs can train in the RSA unit in readiness for employment. Can the new units for Food Safety - SITXFSA001 & SITXFSA002 be delivered ONLINE ? These changes enhance your training experience to ensure that we capture the evidence required so you have the necessary skills and knowledge to apply to any position that requires safe food handling or Food Supervisor skills. There are some Training providers that do not offer quality training. They provide you with the necessary Statement of Attainment but not the knowledge or skills to apply hygienic and safe food handling practices. What is a superseded unit and how does it affect me? Superseded units of comptency are those that have been replaced and upgraded to include the latest training content and assessment methods. There is provision for students currently enrolled in superseded units to finish their training however there is also a cut off date which must be adhered to, whether you have finished training or not. In these cases, the participant will automatically be enrolled into the new unit code to recommence their training. A participant who has not completed their training in the superseded unit by January 16, 2014 does not pay again to train however they must recommence their training from the beginning of the unit to ensure new content and assessments have been understood and completed. Is my RSA certificate or statement of attainment valid in my state? Please be sure to choose the RSA unit applicable to the state in which you intend to work. Some states have different requirements and these are addressed in each specific State or Territory unit. *Victoria only recognises RSA qualifications undertaken in a classroom. When you complete your training with AAAT there is a requirement that we receive an Approved form of ID before your certificate is issued. This is explained at the commencement of your training. Is my Basic Food Safety or Food Safety Supervisor certificate or statement of attainment valid in my state? Please be sure to choose the unit applicable to the state in which you intend to work. Some states have different requirements and these are addressed in each specific State or Territory unit. AAAT issues the NSW Interim certificate once DAILY (Mon- Fri) for all successful applicants who have passed their assessment & provided their required documentation. If you do not receive your Interim certificate on the day you complete your training, you will receive it the very next day. If you forgot to save to your computer and have lost your certificate, don't worry!! We will send you a FREE copy via email, simply Contact Us and we will email you a copy within 24 hours. Your certificate will be available the instant you successfully complete your course and we have verified your answers. If you ensure that all required documents have been received by AAAT and you have successfully completed your unit by 5pm EST (Monday - Friday) you will receive your certificate on the same day as completion. All courses completed outside of our normal business hours will be assessed on the next business day. You can also log into your account at any time and click 'Download My Certificate". All Vocational Educational Training in Australia is GST FREE. No, you can take your time and complete the course at your own pace. You can start, stop and resume your course at time intervals that are suitable to you. The system will remember your progress. Each time you log into the website with your unique username and password you will be able to resume your course where you last left it. We understand that most people lead busy lives and have other important commitments. Our online training method allows you to study in and around other important commitments. We also recognise that to maintain currency of knowledge a participant should try to complete training in the enrolled unit within a 30 day period. If you exceed this period, access to training maybe suspended, please contact AAAT to discuss. Can I use the same Login details to access other courses? Yes, but you will only have access to the courses you have paid for. Once you logged in you will be able to purchase additional courses and complete any outstanding courses. No, payment is made up front with no additional charges. The prices quoted on our home page are all inclusive with no hidden fees. Where can I get more information about my rights as a student? Click here to obtain information on your rights as a student. I would like to see a copy of the terms and conditions. Click here to see a copy of the Terms and Conditions. AAAT is a reputable training organisation, if you have a complaint, we would like to hear from you. We will endeavour to resolve any issues that may arise in a timely fashion, ensuring communication is of a highest priority. We provide a complaints policy within our Student Handbook. Access All Areas Training provides support for participants who require assistance with Language Literacy and/or Numeracy (LLN). You are still able to complete the course online, but we will talk through how we can assist and support you in the successful completion of your chosen course. Do I need any particular computer skills? If you are viewing this page then you are off to a good start. All our courses are done online so there is a requirement for your computer to be connected to the internet. Our website has been designed to work in all current internet browsers so it will look the same no matter what Internet browser you are using or what type of computer (PC, Mac and Linux) you are using. Even smart phones such as iPhones, Blackberries and Android phones can access and use our website. You only need basic computer skills to use our website and learning is made easy and natural - much the same way as you would learn from reading a book or watching a movie. You will need literacy and numeracy skills and a good understanding of the English language. All our courses are conducted in English and being able to read and write in English is a requirement. How do I get my plastic ID Card? In addition to your instant downloadable certificate we also provide the option to purchase your very own plastic, durable, wallet size Proof of Certification ID Card. ...all for just $20 !!! How do I get one? it's easy simply click here to purchase!! Only $20 !! Your card will be mailed to you within 21 business days. I have lost my plastic ID card (Proof of Certification Card), can I get a replacement? Yes of course, no problem. The replacement cost is $10.00 (inclusive of GST). Please go to our shopping cart to purchase. Will I get a plastic Proof of Certification card for each course I complete? After successful completion you have the option to order your very own Proof of Certification card for each course you have successfully undertaken. Only $20 per card. Your card will be mailed to you within 21 business days from the date of purchase. Yes, you can print each page or the entire manual, however you will need to complete assessment questions online. Or please email us and we are happy to provide you with a PDF Student Workbook. The Student Workbook can also be found under 'Course Resources' once you are logged into your training account. You don't "fail" a course in competency based training, you are found to be "Not Yet Competent". If you are having problems understanding aspects of the course or have Language Literacy and Numeracy or other barriers which are making completing the course difficult, then you should Contact Us. Please refer to each course in each state for legislation regarding refresher training. Some states do not require further training whilst others do. You will find information in relation to this question at the beginning of each course. How long will my registration last once I enrol online? Your online registration is valid for 3 months from the date you register for a certain course. The online learning is self-paced and can be completed at your own pace and speed within the 3 month time frame. What resources do I need to complete my online training? Do I need to apply to be an Approved Manager? 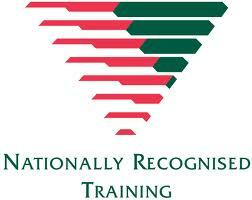 What is a Recognised Training Organisation (RTO)? Nationally Recognised Training is delivered in association with Access All Areas Training RTO (#52312) - look out for the symbol below to ensure authenticity of an RTO. There is no one answer to this question as it depends on which state you reside. Generally the SIRRFSA001 unit is for reatil so business such as Grocers, Delicatessens, convenience stores,supermarkets whereas the SITXFSA002 is for hospitality so restaurants, cafes and hotels. To make it a little easier, here’s a brief guide outlining which states and territories legally require most food businesses to nominate an Food Safety Supervisor, and which do not. If your food business is registered in one of the above states, you may also be legally required to notify your local government with the details of your nominated Food Safety Supervisor. Even though these locations don’t need a Food Safety Supervisor by law, training an employee as a Food Safety Supervisor is one of the best investments you can make for the future of your food business. Having someone who can design and oversee a Food Safety Program that protects your customers, improves efficiency, and reduces waste can be a huge advantage for any food business looking to deliver a premium product or service. This will depend on where your business is located and what type of food it serves. Certain Australian states and territories require all registered food businesses to nominate a qualified Food Safety Supervisor. This person will normally need to have done a Food Safety Supervisor course to show that they can lead and manage a business’s Food Safety Program. Food not sold and served in its original package. As a general rule, if you’re in a state or territory with this legislation, and your food business needs a licence, it will need a Food Safety Supervisor. Access All Areas Training accepts several forms of online payment. You can pay with Credit Card (Visa, Mastercard including visa debit cards) via our secure online payment gateway EWAY or you may wish to pay over the phone, please call 1300 387 554. We also accept Purchase orders/EFT/Cheque. If I pay online with a credit card, is it safe? Access Areas Training uses eWay as their secure payment gateway. eWay provides the highest level of security available. Visa, MasterCard and other major credit organisations have created a set of requirements which must be met by companies who store or process credit card data, known as the Payment Card Industry Data Security Standard. eWAY is externally audited each year to ensure that they are Tier 1 PCI DSS compliant, the highest level of compliance. That is why eWAY is globally recognised as the secure payment gateway. A receipt will be emailed to the email address you supplied upon registration the instant you pay. You can also log into your account at any stage, click on the drop down menu underneath your name and click on 'Purchase information' from here you can email yourself a receipt or you can simply Contact Us and a copy of your invoice and receipt will be emailed to you. Remember a copy of your receipt will be emailed to you upon initial payment, so please check your email inbox or your junk mail. Click here to obtain information on refunds Student handbook.